Love on the Rocks is an alcoholic cocktail with sinuous and elegant notes, perfect for an aperitif at sunset and ideal to be enjoyed after dinner over a romantic chat. Love on the Rocks will offer you a moment of fullness on the palate, thanks to its rounded, sweet taste. 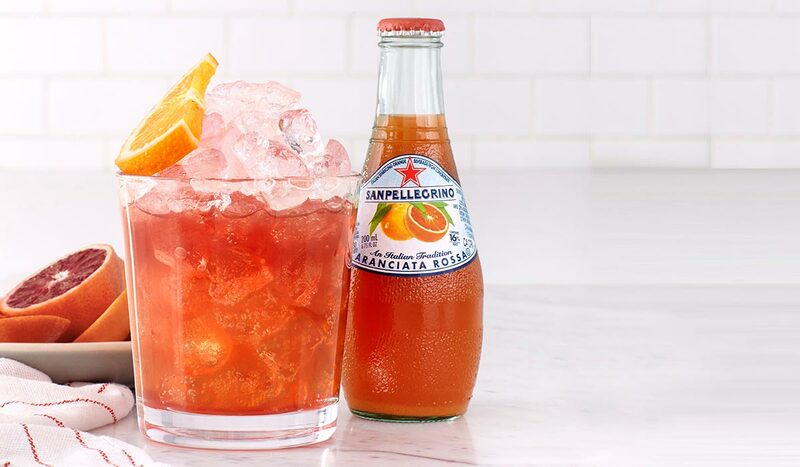 The strong scent of gin contrasts with the delicacy of Blood Orange Sanpellegrino, together creating a unique balance that is ideal to accompany crispy fried fish or delicate marinated anchovies. Fill the glass with crushed ice and add the gin. After, add the Campari and Blood Orange Sanpellegrino. Stir with a bar spoon so that all of the ingredients are mixed together and serve well chilled.